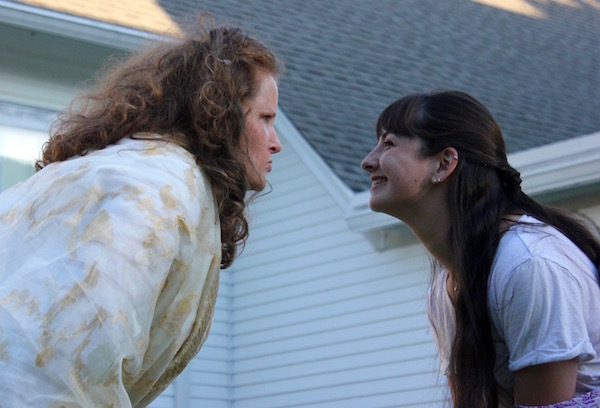 The East End’s busiest Shakespeare company is busier than usual this summer, bringing its annual Shakespeare in the Park production, long a summer staple in Greenport’s Mitchell Park, to venues throughout the East End and beyond. 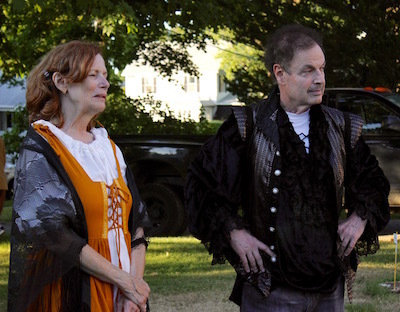 This year’s production, the comedy of scandalous courtship “Much Ado About Nothing,” directed by James Pritchard, will be staged in five different locations, opening with a performance of selected scenes on Thursday, July 26 at 7:30 p.m. at Peconic Landing in Greenport. 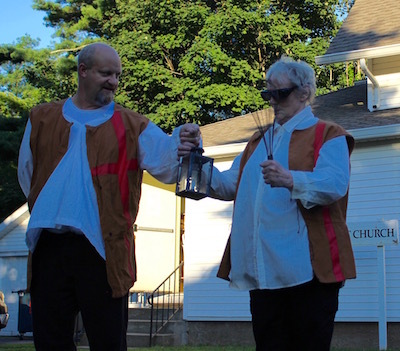 The run continues on Saturday, July 28 at 7 p.m. at Polonaise Park in Riverhead’s Polish Town. 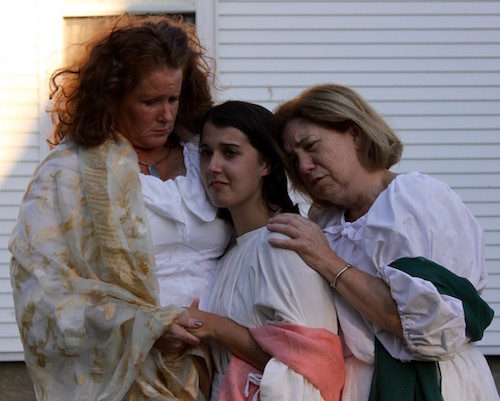 The production then moves home to Greenport’s Mitchell Park for performances Aug. 2, 3 & 4 at 7 p.m.
On Sunday, Aug. 5, the troupe moves to Patchogue for a 7 p.m. performance in Shorefront Park, and then, on Monday, Aug. 6, it moves to the new Good Ground Park on Squiretown Road in Hampton Bays for a final 7 p.m. performance. The cast of characters for this production includes Amie Sponza as Leonato, Gov. 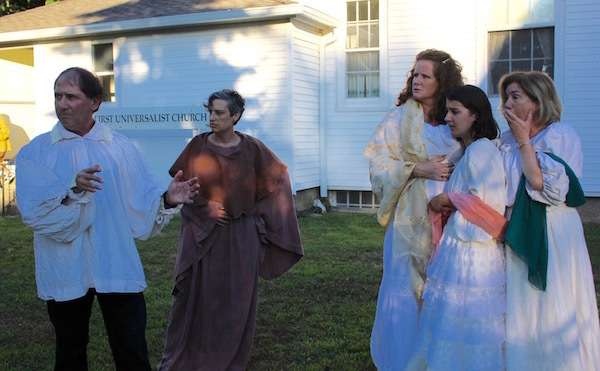 of Messina, Sicily; Howard Levine as Antonio, brother of Leonato; Danielle Allen as Hero, daughter of Leonato; Amy Ippolito and Suzette Delia Reiss as ladies-in-waiting Marguerite and Ursula; Kristen Whiting as Hero’s Cousin Beatrice and Abigail Field as Friar Francisco. 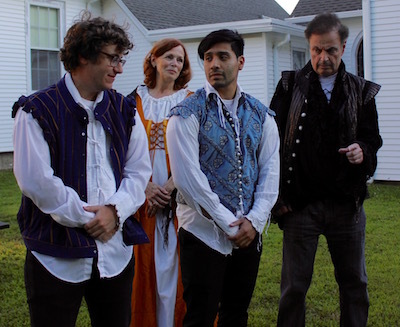 John Tramontana plays Prince Pedro of Aragon; Marlon Quijije is Claudio, Lord of Florence; Rich Gardnini is Benedict, gentleman of Padua; Joe Sherer is Don Gianni, brother of Prince Pedro andDeborah Rothaug and Gregory Messinger play Corinna and Borachio, followers of Don Gianni. 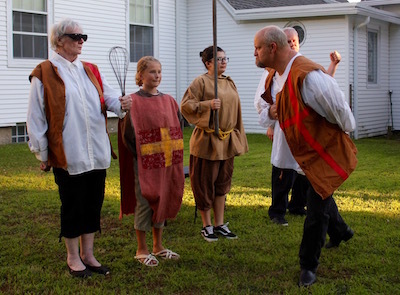 James Pritchard plays balladeer Balthazar; Dan Horton is Dogberi, Master Constoble of Messina; Desiree Reese is Verges, Dogberi’s personal assistant; Emaline Karam is Georgio Seacoal, leader of The Watch; Sylvia Roldan is Hugh Oakcake; Scout Whiting and Robert Ezzard are members of The Watch and Robert Ezzard is Sexton, judge of Messina. More information is online at northeaststage.org.